Please re-bookmark our site under the new address. You will be automatically re-directed in 30 seconds. 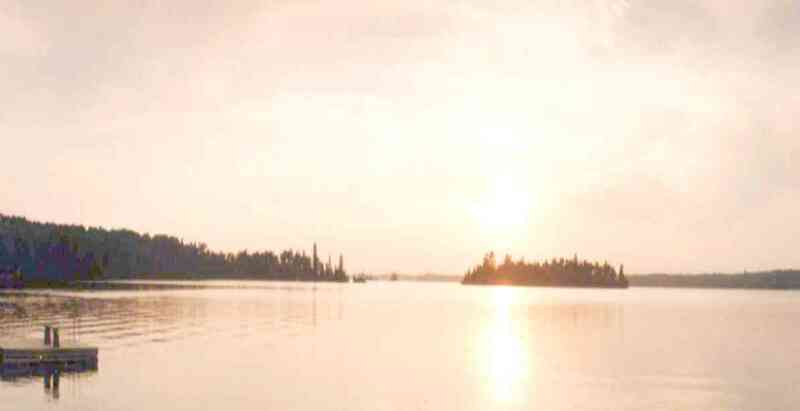 Falcon, West Hawk and Caddy Lake are situated approximately 120 km east of Winnipeg along the four lane Trans-Canada Highway. As part of the Whiteshell Provincial Park, at the periphery of the beautiful and rugged Canadian Shield, Falcon and West Hawk attract varied visitors from all over Manitoba, Canada, the United States and the world because of the varied recreational opportunities and services available. Together, Falcon, West Hawk and Caddy form the gateway to eastern and western Canada, as all traffic must pass through the area when travelling east or west. The Trans Canada Trail passes through the West Hawk/Falcon/Caddy Lake region. On Provincial Road 312, just past Green Bay Resort. This 2.8 km trail winds down the Whiteshell River and loops back. This is a transition zone between the Boreal Forest and the Great Lakes/St Lawrence Forest. Along this trail you will see Jack Pine, Trembling Aspen, Juniper, White Spruce, Black Spruce, White Cedar, Black Ash, Balsam Fir, White Birch and Eastern Pine. This novice hike takes two hours. On Highway 44 between the Lilly Pond and the Caddy Lake campground. This 4.6 km trail will lead you through a small drainage basin typical of the Precambrian Shield and found throughout the park. A shortcut reduces the length of the trail to 2.4 km before it reaches McGillivary Lake. This intermediate hike takes three hours. This hike, bike and ski trail is a part of the Trans Canada Trail. The 14 km section between West Hawk Lake and Falcon Lake is complete. It runs between the Nite Hawk Cafe parking lot in West Hawk to the field behind the school in Falcon. At the very end of Highway 44, just past West Hawk Lake. This 12.6 km trail leads north along the east shore of West Hawk Lake to Little Indian Bay. It returns on the same path. This intermediate hike takes three hours. Off the Trans Canada Highway near the Falcon Lake Riding Stables. This 2.2 km trail reveals clues that glaciers once covered this land; rocks and boulders are scattered randomly from the the receeding ice. One sees the effects of a forest fire, as well. This novice hike takes one hour. All trails begin at the Falcon Ridge ski chalet at the end of Southshore Road, near Falcon Trails Resort. This 4 km hike leads to the highest elevation in the area and a spectacular lookout above Falcon Lake. It returns on the same path. This intermediate hike takes one hour. This short 2 km hike takes you to the top of the south facing ski slopes and a beautiful view of Falcon Lake from a rock out-cropping. It returns on the same path. This novice hike takes 45 minutes. This 7.5 km winter ski trail takes you to High Lake and along its shoreline. This is a ski trail for experienced skiers. There are numerous ski trails at Falcon Ridge ranging in length from 1.5 to 5 km and in difficulty from novice to expert. Check at the chalet for conditions. On Highway 307, across from Jessica Lake Lodge. These trails consist of approximately 7 km of walking trails in three loops that meander along natural pathways of granite in the forest between Jessica and White Lakes. These intermediate hike, skie or showshoe trails take about three hours. 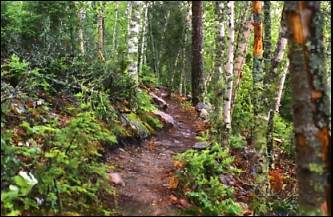 There are numerous other trails in the Whiteshell Park. Pick up a copy of the Whiteshell Wanderer from any of the Chamber members, or check out the Whiteshell Provincial Park hiking page, for a more complete listing of all the trails and activities available in the Park.